Hey all and happy Monday! Life has been so hectic and so crazy lately! I have been traveling quite a bit, working a ton, and then recently getting over being sick. Even though I work for myself, I am taking on quite a lot more with work and trying to properly balance everything that I am doing at the current moment… and it has for sure been a juggling act! Black and white is not always common for spring, as I usually see pastels and lighter colors advertised so much more. I love black and white any time of year, I feel like it is such a classic combo, especially when black and white are combined in the same piece. These pieces both happen to be from a newer brand called Maree Pour Toi. I love this newer brand and have written a few blog posts on them in the past, featuring collections from other seasons. I forget a lot about the classics during spring, so I was super happy when Maree Pour Toi decided to use black and white during the spring season. They do have colors as well, which mix perfectly with these classics. 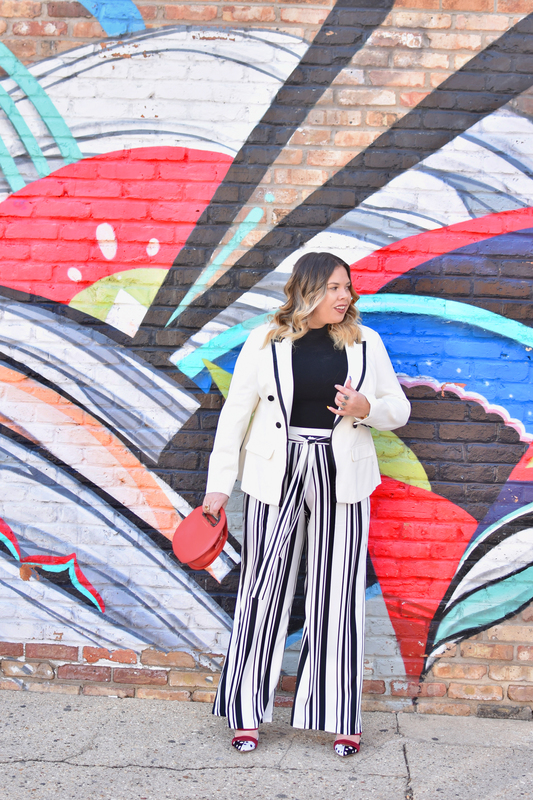 Since black and white is so classic and so easy to pair with, I figured pops of color would be the perfect way to accent these pieces for spring. I love a fun printed bag or a bright pop of color with shoes to really make these outfits pop a little bit more! Have a wonderful Monday and such a lovely week ahead! 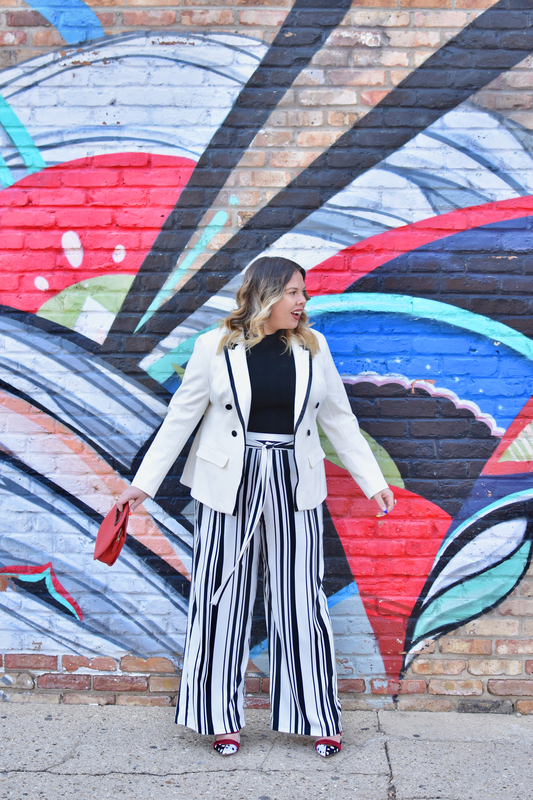 I love black and white any time of year too, and I didn’t even realize it until recently when I was decluttering my spring clothes and was organizing things by colour. I have so many pieces in black and/or white and I love to style them with other colourful pieces like shoes and accessories, I think you can get completely different outfits while keeping the same clothes and just by changing everything else. 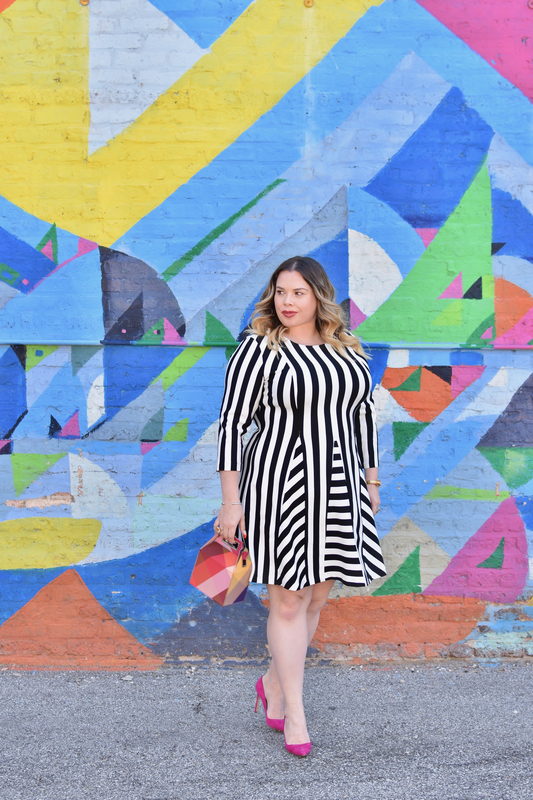 You look amazing in this dress with the stripes! 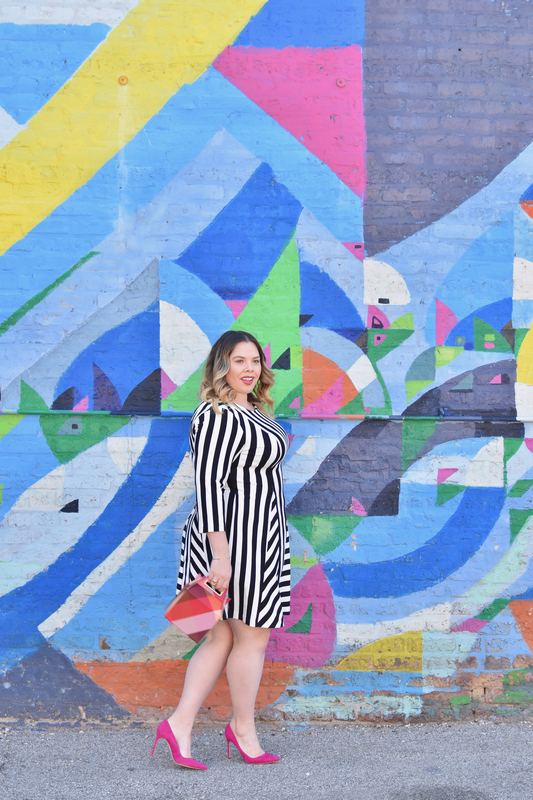 Usually I’m not a stripe lover but I am crushing big time on both outfits! I love the pink heels you paired with the dress! Love all these looks and you have some fabulous handbags!! I am loving you in these striped outfits – so gorgeous! Great looks; that blazer with the black trim is definitely calling my name! I am a sucker for black and white and I love the two ways you are wearing this! Adding a pop of color is always fun too! Girl you crushed these looks! Got me in a B&W mood for Spring, with a pop of color with accessories or shoes. 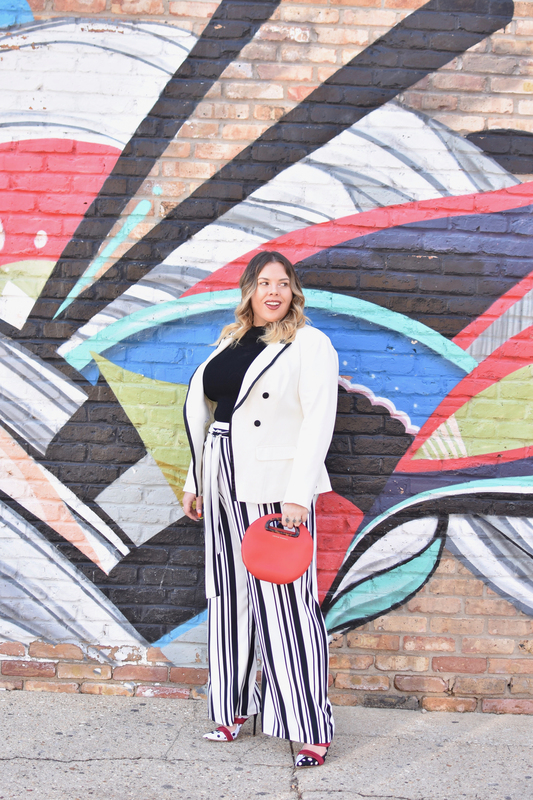 I am loving these black and white looks, especially with the addition of the pop of color! Oh my gosh. 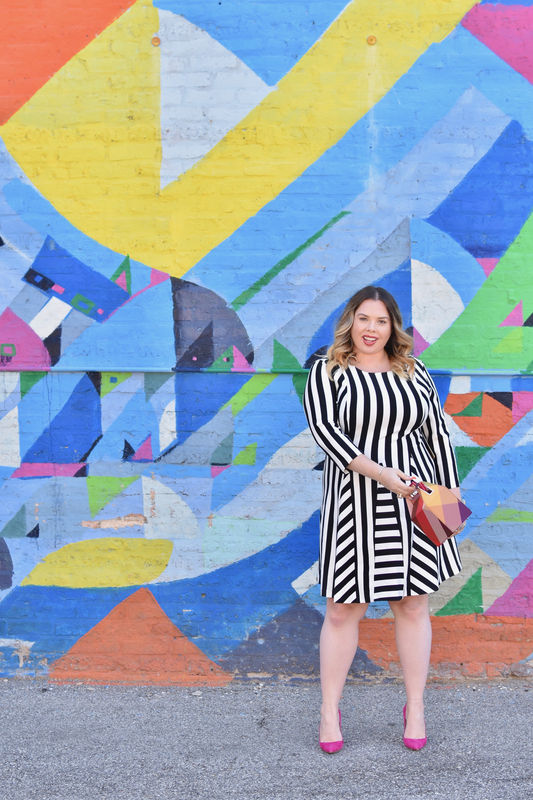 Can we just talk about what an insanely flattering print that dress has!? I want it! And of course that pant and jacket combo is 110% gorgeous! Your entire stripes vibe is gorgeous. It’s hard to choose, but I think that the second outfit is my favorite. I have this over-obsession with blazers and anything with a blazer is my go-to. Your backgrounds are such a great contrast to your black and white ensembles as well. Thank you for sharing, Denise! Your outfits are always impeccable and these are no exception! I LOVE that dress! I love these outfits! They look fabulous and the black and white are outfits I can get behind! These stripes look amazing on you – especially with those shoes. Black and white outfits are classics. I love the pops of color you added to the look. Speaking my language with all this black and white!! Loving both looks! You look amazing in this outfit! Love those pants! totally crushing on that blazer!